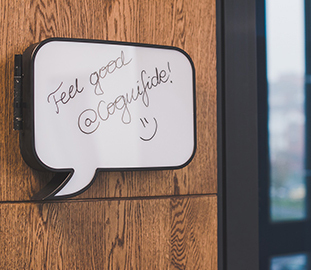 Cognifide frees brands and organisations to deliver the world's best customer experiences. We're part of the WPP network and we've been developing web applications based on the CMS systems, Adobe Experience Manager and the Sitecore Experience Platform since 2005. We work for well known brands, such as Ford, Unilever, Shell, Colgate-Palmolive and EY. Delivering solutions of the highest quality means hiring and cooperating with top talent. We strive to find new and better ways to engage future talent and provide you with the best recruitment experience possible. Recently we've won awards for our innovative culture and recruitment process - The Force of Attraction, Architects of Innovation and The Ace of Business. Act as an advisor for candidates throughout the recruitment process and oversee the candidate experience on every stage. Communicate in English fluently (min. B2 level). Working in a friendly, comfortable office with social space. To send CV use "Apply" button. We take special care of data protection so please submit your application on our website using application form at the bottom of the page. Informujemy, że administratorem Twoich danych osobowych dobrowolnie podanych jest Cognifide Polska Sp. z o.o. z siedzibą w Poznaniu (61-655), ul. Murawa 12-18; adres e-mail: [email protected], nr tel: +48 (61) 843 30 41 (dalej: my). Aby zaangażować Cię w proces rekrutacyjny potrzebujemy Twoich następujących danych osobowych: imię i nazwisko, adres e-mail, numer telefonu, miasto zamieszkania. Podanie przez Ciebie dodatkowych danych osobowych jest dobrowolne i wymaga Twojej wyraźnej zgody.